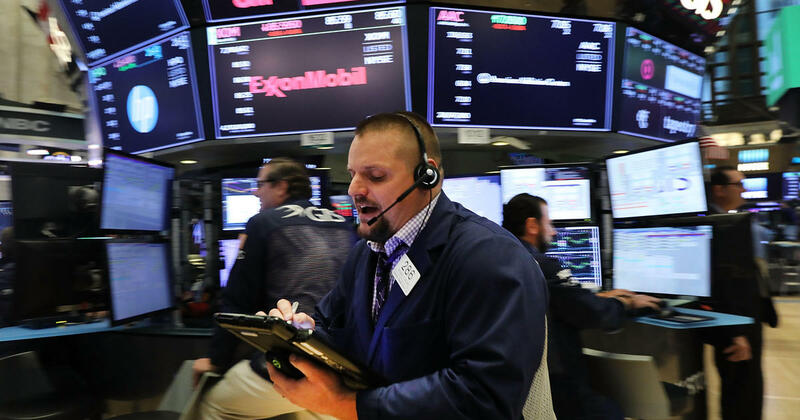 U.S. stocks dropped sharply Wednesday as a massive selloff in the biggest tech stocks drove markets to lows not seen since this winter. The Dow plunged 831 points, losing 3.15 percent of its value. It was the second-biggest drop of the year for the Dow, which on Feb. 5 lost over 1,100 points in a single trading session. The S&P 500 lost 3.3 percent. The tech-heavy Nasdaq composite fell just over 4 percent—its biggest loss in more than two years. Tech stocks, which have been among the biggest winners in the current bull markets, suffered the steepest losses Wednesday. Apple and Amazon both had their worst day in two and a half years. Tech companies are known for high profit margins, but those are likely to shrink in a landscape of security breaches and trade disputes with China, the Associated Press reported. "Amazon recently announced they were increasing wages, Facebook is spending a ton on security," Gina Martin Adams, chief equity strategist for Bloomberg Intelligence, told the AP. "Semiconductors have the most exposure to China out of segments in the S&P 500." Stock prices have been hurt lately by fast-rising interest rates. On Wednesday, the 10-year yield once again touched its highest level in seven years. Interest rates began spurting higher after several encouraging reports on the economy. Higher rates can slow economic growth, erode corporate profits and make investors less willing to pay high prices for stocks. President Donald Trump said the selloff was nothing to worry about, while simultaneously blaming it on the Federal Reserve's rate hikes. "I think it's good. Actually, it's a correction that we've been waiting for for a long time. But I really disagree with what the Fed is doing," he said Wednesday evening in Erie, Pa., where he had arrived for a rally. The 10-year Treasury yield remained at 3.20 percent, about where it was late Tuesday, after earlier hitting 3.24 percent—its highest level in seven years. It was at just 3.05 percent early last week. While economists have noticed some increasing trends in the inflation data, there are few signs yet of rapid acceleration. That's good news for markets: If inflation were to spike, it would push the Federal Reserve to get more aggressive in raising interest rates. Earlier on Wednesday, Sears Holdings plunged on reports it is preparing to file for bankruptcy. The stock fell nearly 17 percent, to just 49 cents. It was more than $40 five years ago. Over the years, Sears has closed hundreds of stores and sold off several of its best-known brands, including Craftsman tools and Lands' End apparel. -- CBS News' Irina Ivanova and the Associated Press contributed to this report.